Late one night a young engineer named Kurt Weyrath is involved in a highway accident that leaves a middle-aged couple dead and their twenty-four-year-old daughter, Anna Kainz, in a coma. Tormented afterwards by his guilt for having fled the scene of the accident, Kurt quits his job, leaves his longtime girlfriend, and joins an ambulance service so that he might come into contact with the comatose young woman. He becomes closely involved in her life—helping with her therapies, visiting her old neighborhood, attending art classes she has taken, and searching for anyone who has known her. A year and a half later, Anna awakens from her coma, and Kurt discovers that she is a vastly different woman from the one he has imagined. The novel’s pace increases as Kurt and Anna together recover her past—and that past inexorably catches up with them. 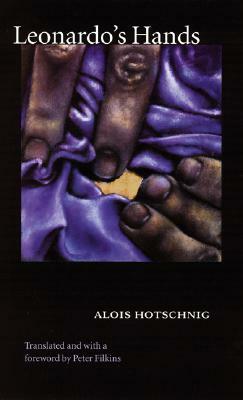 Austrian writer Alois Hotschnig is the recipient of numerous literary prizes, including, for "Leonardo's Hands," the Anna Seghers Prize and the Carinthia Prize in the Ingeborg Bachmann competition. Peter Filkins is an associate professor of English at Simon's Rock College of Bard. He is the author of "What She Knew" and the translator of "Songs in Flight: The Collected Poems of Ingeborg Bachmann," winner of an ALTA Award for Outstanding Translation.